The question is from the topic circles. It is a data sufficiency question. Finding the angle subtended by a chord at the centre would help. CAT Geometry questions are heavily tested in CAT exam. Make sure you master Geometry problems. 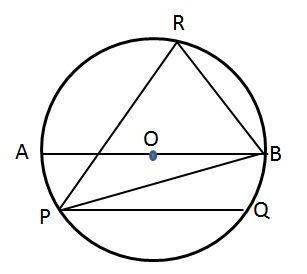 Method of solving this CAT Question from Circles: Try to find the angle subtended by the chord PB at the center from the given statements! Let us join OP and see what we get. 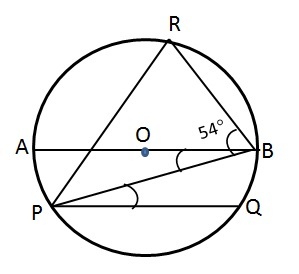 ∠PRB is nothing but the angle subtended by the chord PB and is half the angle at the center. We need both statements together to arrive at a solution! The question is "Choose the correct answer"
Hence, the answer is Both I and II together are required.